The IndraDrive ML universal inverter underwent testing by both DNV GL and the American Bureau of Shipping (ABS). The tests examined the reliability of the IndraDrive ML at various temperatures, levels of humidity and vibrations, as well as its electromagnetic compatibility and environmental impact. 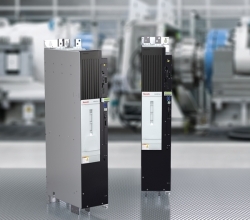 Following these, Bosch Rexroth’s modular design system was declared type-approved. The IndraDrive ML electric drive series covers a power range from 110KW to 4MW, and can be used as both a power supply and a motor inverter. According to the company, its capability to support a power supply from 380V to 690V, as well as its drive capacity, means the series can cover many application scenarios within the maritime sector.